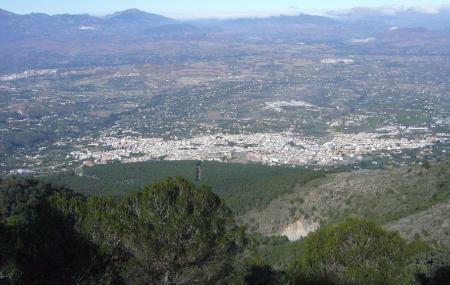 Find hotel near Sierra De Alhaurin El Gra ..
Alhaurin El Grande is a town in the Andalusia region near Marbella. Sierra of Alhaurin El Grande and Fin Pista is a stretch of landscape in this region. A beautiful area to simply take a stroll in or to marvel at the beauty of Andalusia, Sierra of Alhaurin El Grande is a good spot to connect with the locals as well. You will see a lot of flora and fauna here and a large stretch of forested area. Personalize your visit to the city by chalking out a plan using Alhaurin El Grande trip planner. Book perfect hotels in Alhaurin El Grande like Fuengirola Beach Apartamentos Turasticos, Aparthotel Myramar Fuengirola and Hotel El Puerto By Pierre Vacances. Generate executable plans on your own or book the top rated Alhaurin El Grande vacation packages for your visit. Read more on how to reach Alhauri­n El Grande. Love this? Explore the entire list of places to visit in Alhaurin El Grande before you plan your trip. Fancy a good night's sleep after a tiring day? Check out where to stay in Alhaurin El Grande and book an accommodation of your choice. Muy dura para los no iniciados. En general, bonito Pinar. Lugar perfecto para hacer deporte.